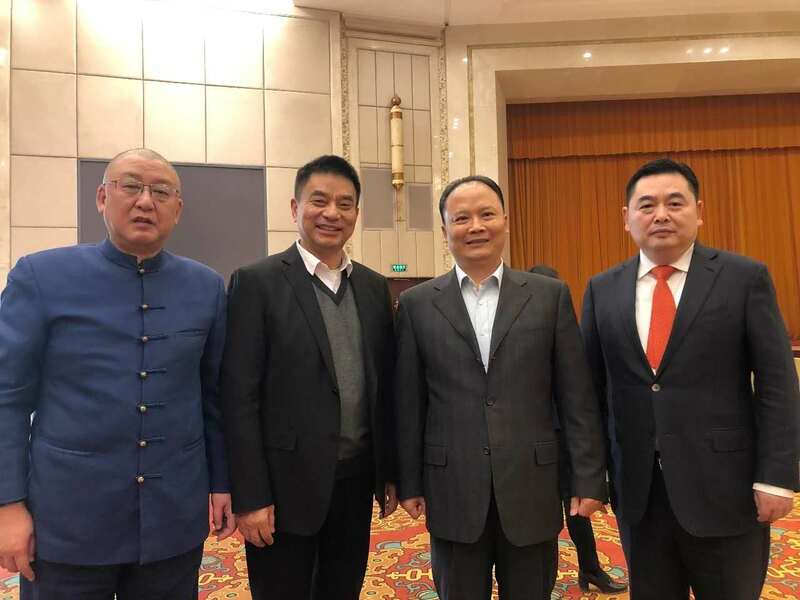 On Jan. 21st, 2019 Private Enterprises Spring Festival Symposium which was organized by United Front Work Department of CPC Central Committee and All-China Federation of Industry and Commerce was solemnly held in Beijing. Standing Committee Member of the CPC Central Committee Political Bureau, Chairman of the CPPCC National Committee Mr. Wang Yang, Member of the Secretariat of the CPC Central Committee, Head of the United Front Work Department of the CPC Central Committee Mr. You Quan, Vice Chairman of the CPPCC National Committee, Chairman of All-China Federation of Industry and Commerce Mr. Gao Yunlong, attended the meeting. The one hundred outstanding private entrepreneurs of reform and opening up in the past 40 years gathered together and greeted the spring festival. Mr. Liu Hanyuan, Standing Committee Member of the 11th CPPCC, Deputy to the NPC, Board Chairman of Tongwei Group, attended the symposium.